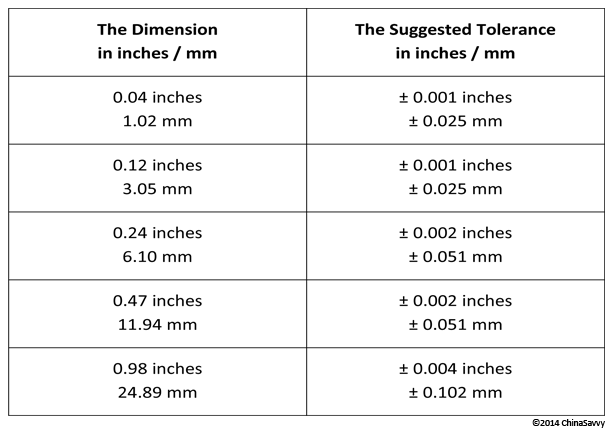 Metal injection molding tolerance standards are the specified allowance on deviations in various parameters, including angles, weight, dimensions and shape. 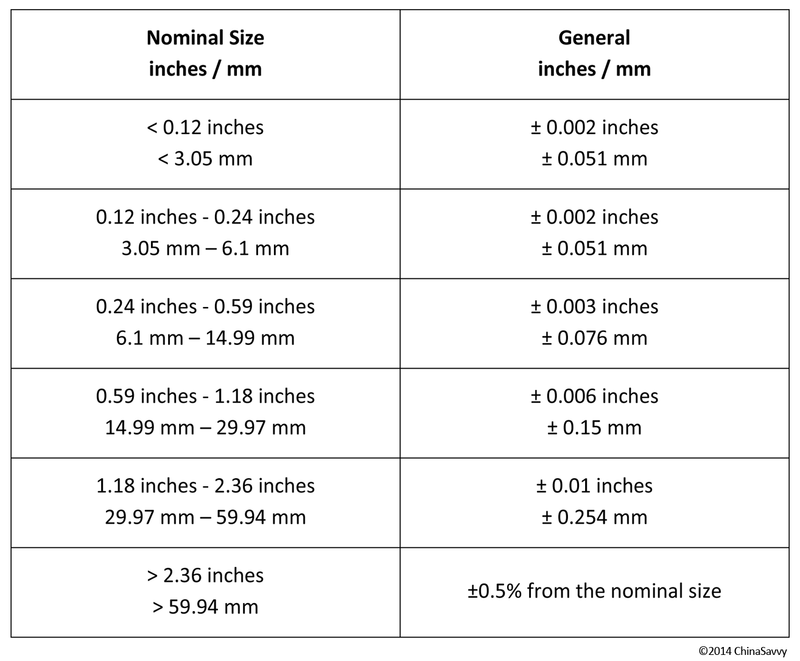 Based on the process, a maximum and minimum limit on thickness is present, allowing manufacturers to maximize the control in setting metal injection molding tolerances. Noted below is achievable on critical dimensions and under favorable molding conditions. A number of factors can influence the dimensional accuracy of a part, some examples of this being parting lines and varying wall thicknesses. 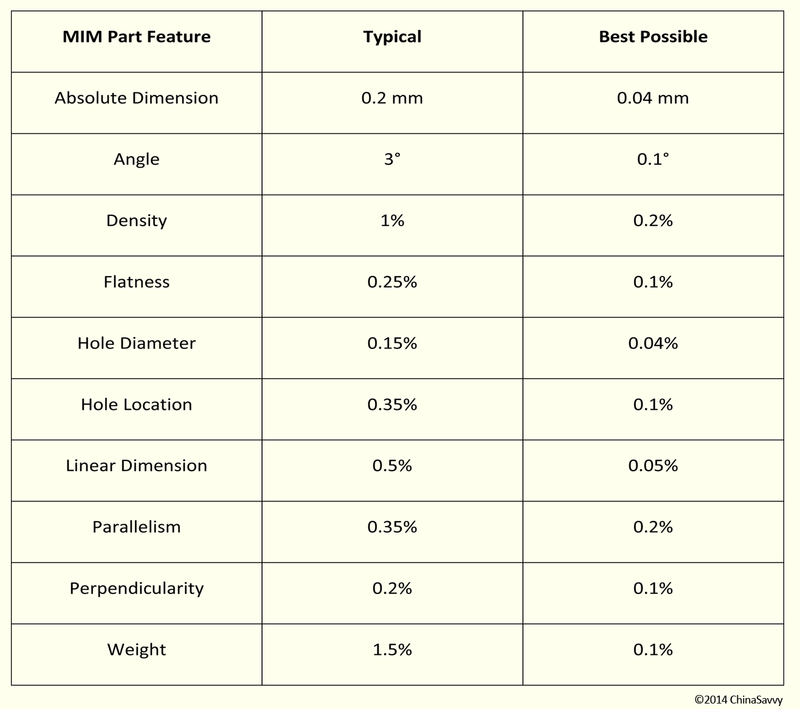 When manufacturing MIM parts, tolerances should should not be closer than absolutely necessary or required for the optimum performance of the part. 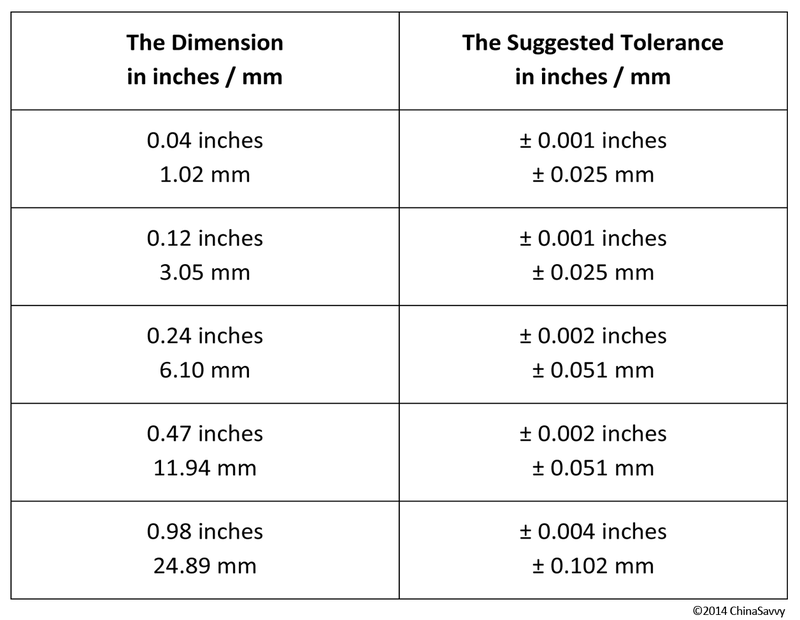 When close tolerances are on several dimensions of the part, the cost per part will increase. 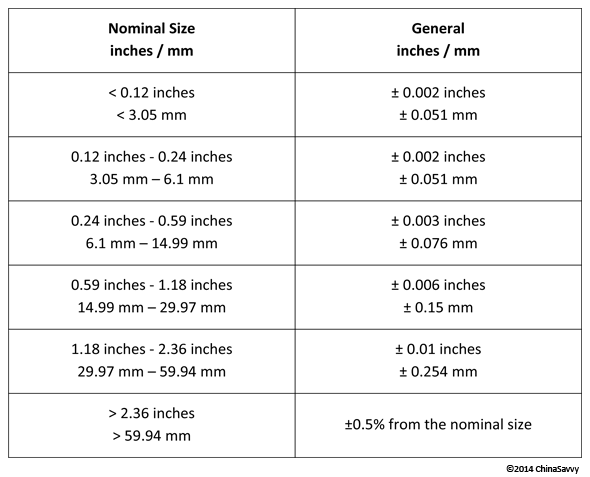 For parts that have major wall thickness variations, close tolerances should not be specified. Close tolerances should not be specified across a parting line. Close tolerances should not be specified for dimensions that are controlled by sliding cams or moveable cores. Depending on the type of material molded, the surface finish can be Ra = 4µm - 20µ. Metal mold injection materials, on the basis of of carbonyl iron, that has a particle size of less than 10µm will tend o exhibit a smoother surface finish than that of materials made from atomized steel powders, as the atomized steel powders are much coarser. Surface finishes of parts can be further improved by making use of conventional processes ranging from burnishing and lapping, to grinding. The radii of parts produced using this process should at least be 0.3 millimeters (or 0.011811 inches) . 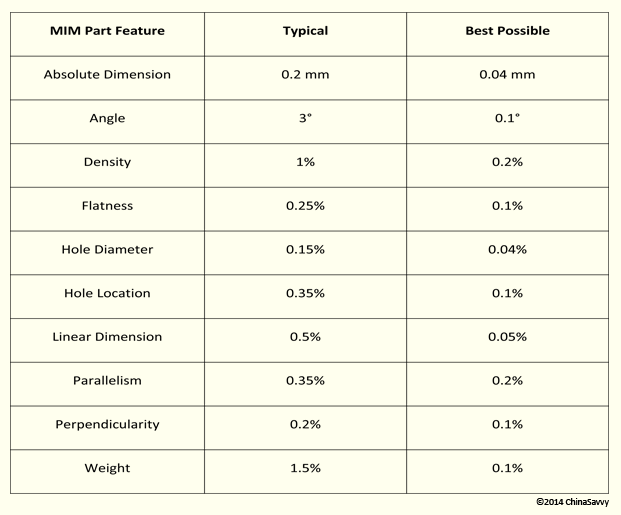 Learn more concerning tolerances, design and wall thicknesses for MIM parts by visiting our Metal Injection Molding Wall Thickness page.